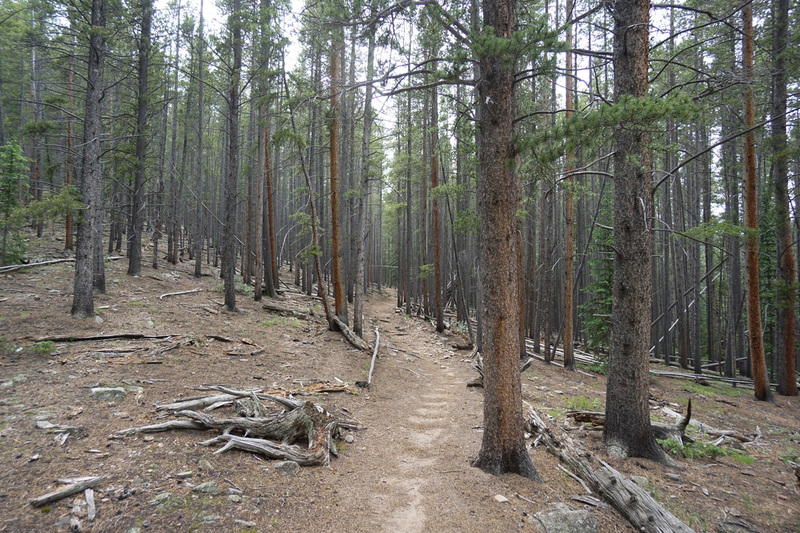 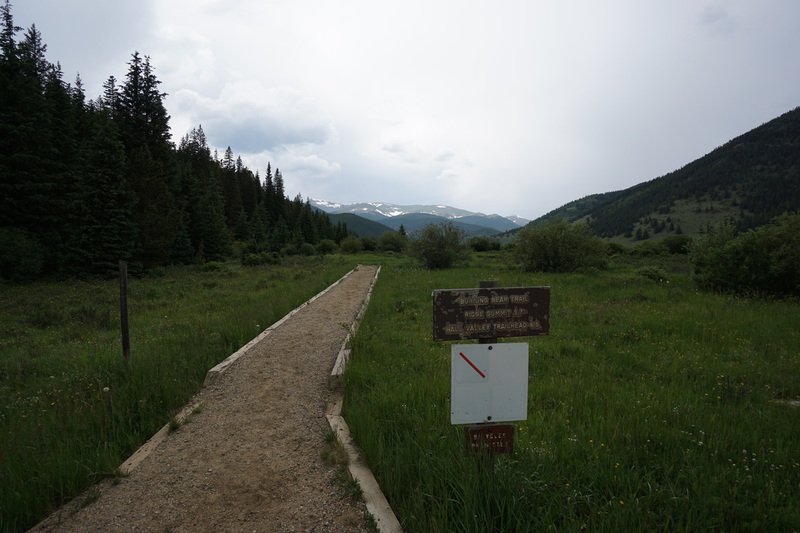 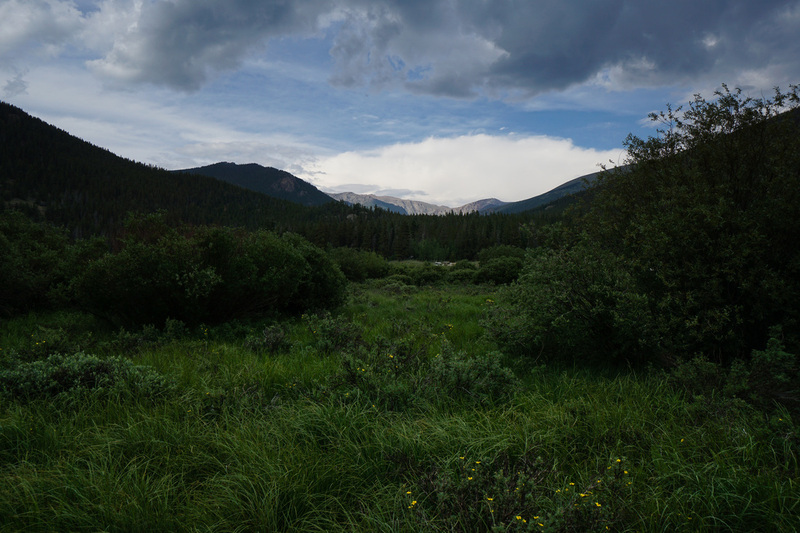 Directions: The Burning Bear Trail is located on the south side of Guanella Pass in an area called Geneva Park. 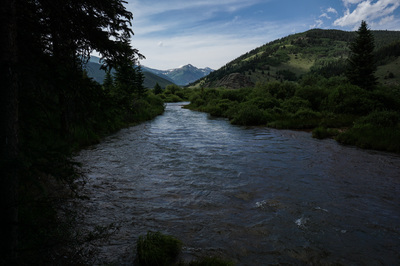 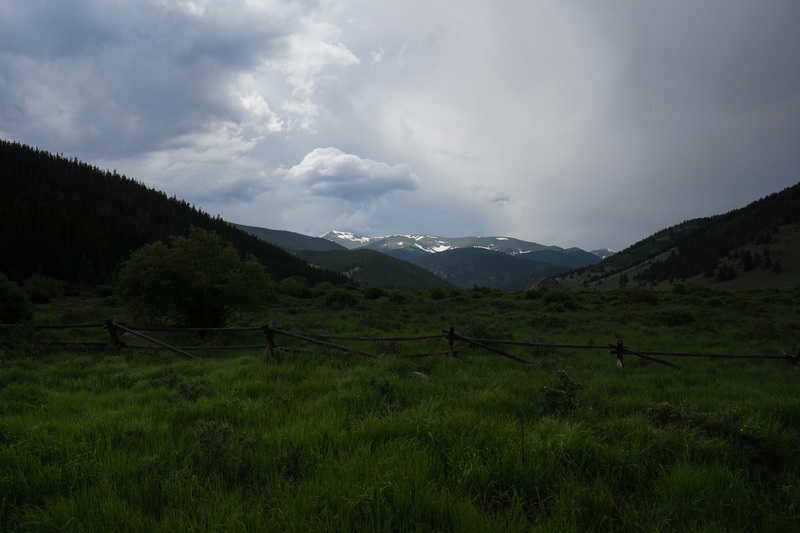 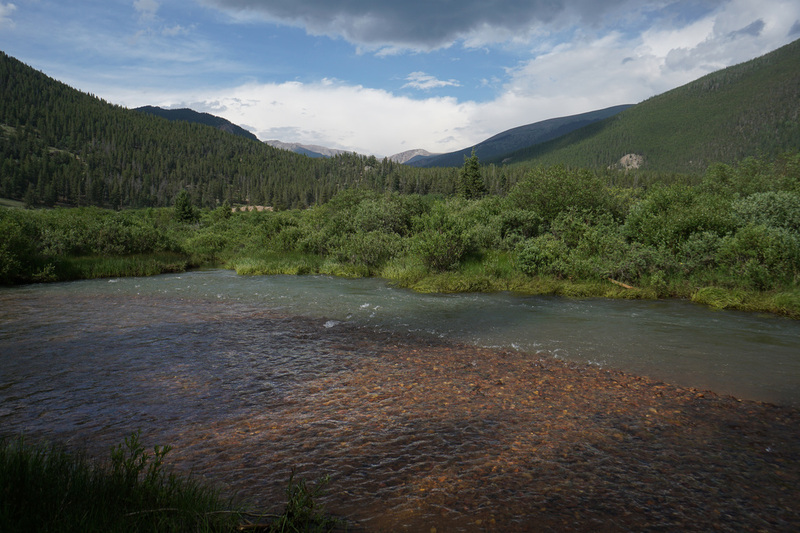 From I-70, exit at Georgetown and follow Guanella Pass Road over the pass/summit area and down the southside to the trailhead. From Hwy 285 at Grant, turn right (north) following the signs to Guanella Pass and head north to the trailhead (about 14 miles). The trailhead is located just south of the Abyss Trailhead and the Burning Bear Campground. 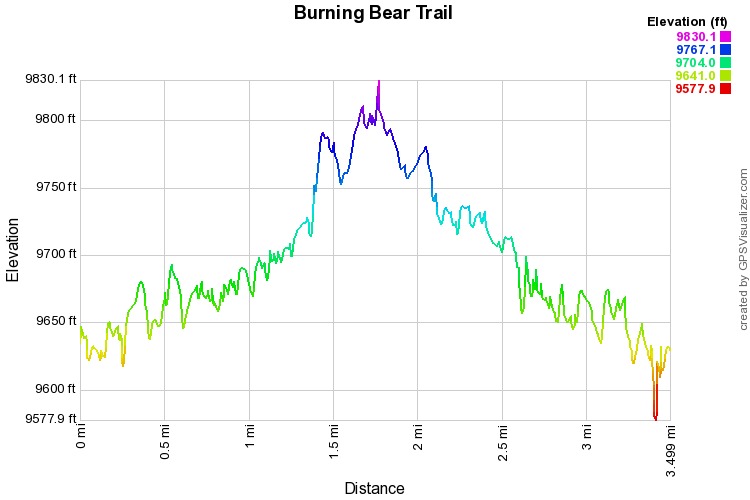 The Burning Bear Trail is a beautiful and relatively easy hike through the open meadows and wetlands of Geneva Park. 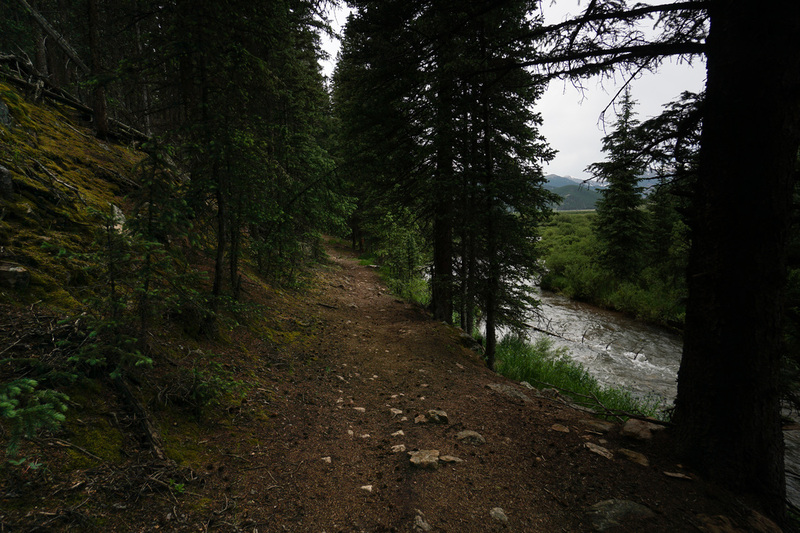 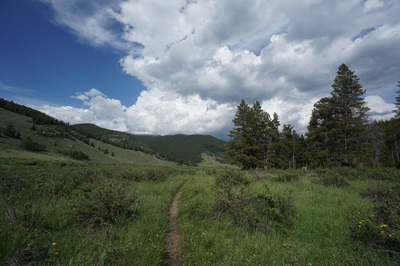 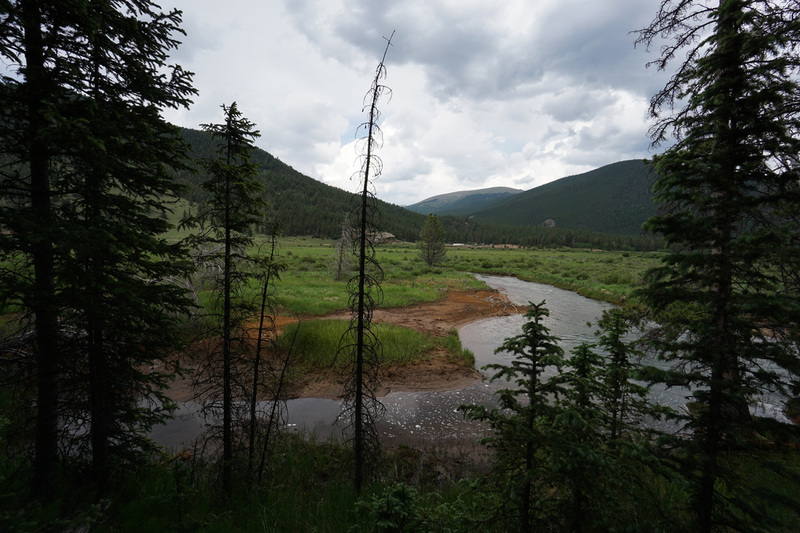 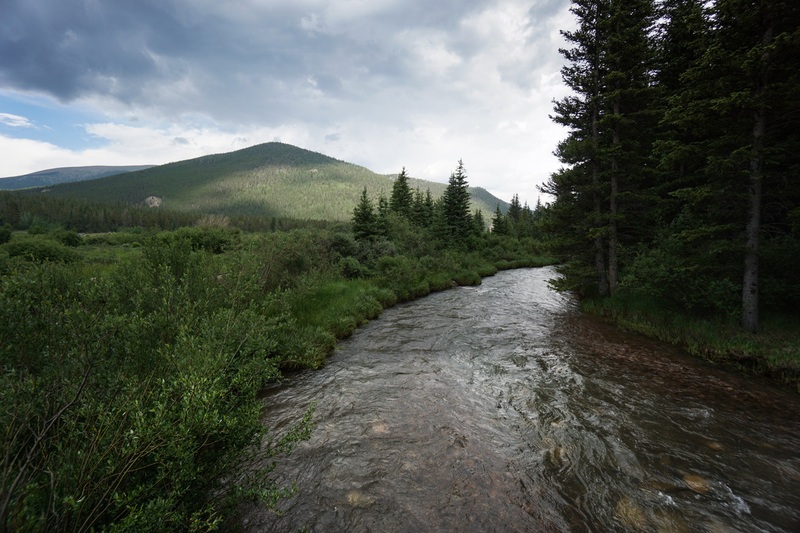 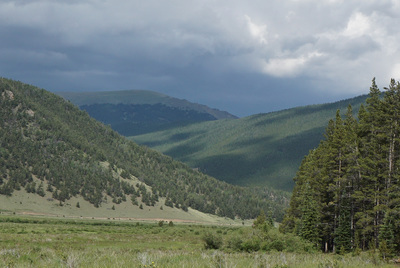 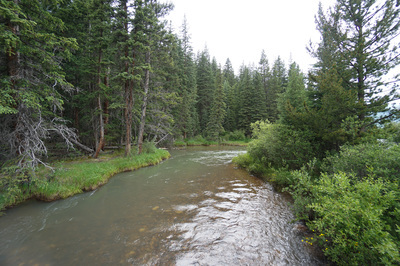 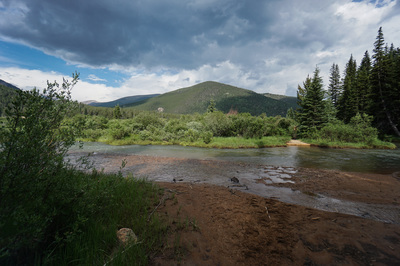 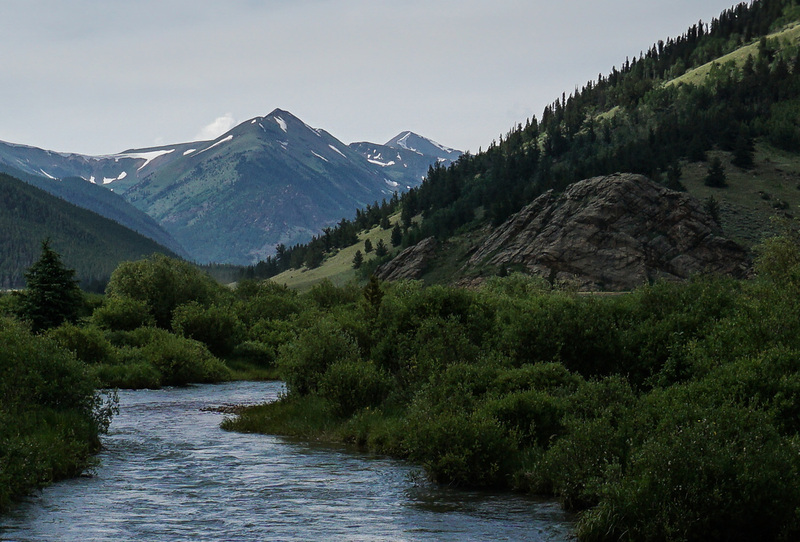 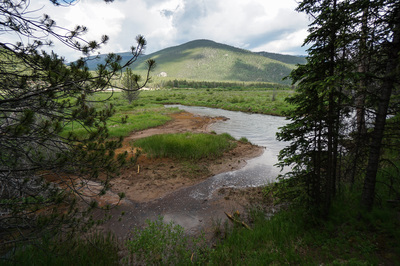 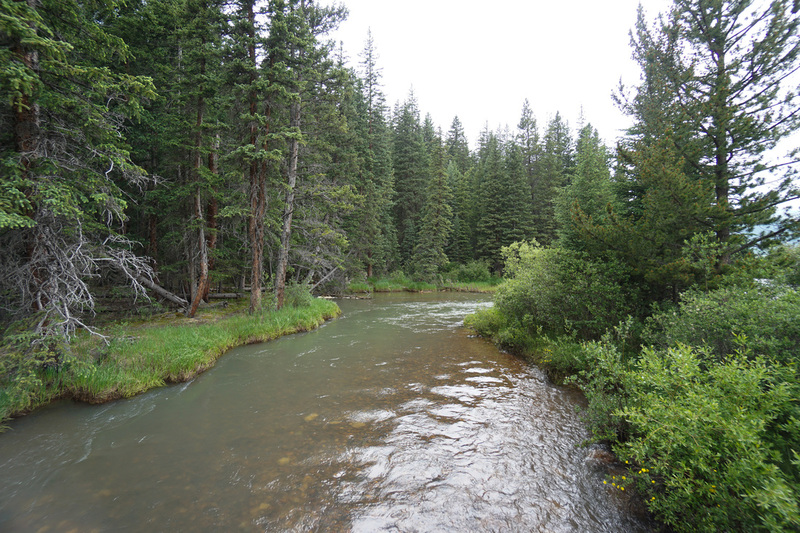 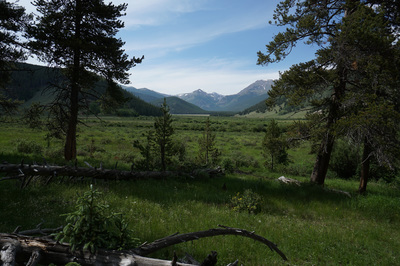 The trail skirts Geneva Creek, crosses the open meadows, and traverses dense Pine and Aspen Forest. 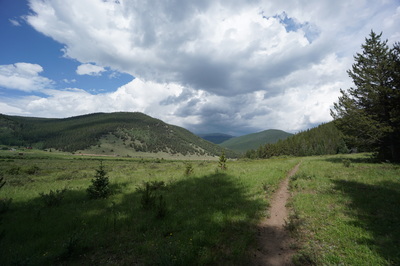 The entire trail is long, and connects to a western trailhead and the Hall Valley Trail. However, for a satisfying outing, you only need to hike a few miles to enjoy the stunning scenery. From the trailhead follow the board lined trail across the meadow and cross Geneva Creek on a footbridge. 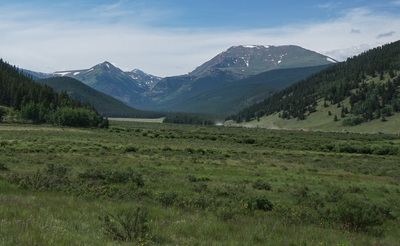 The views of Geneva Peak in the distance are immediate. 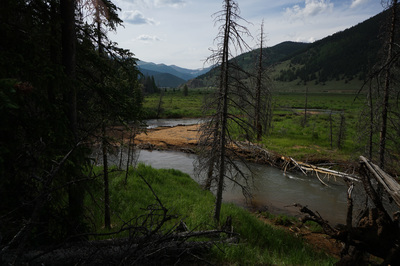 Follow Geneva Creek, pass through a cattle gate or two, and you'll soon be in the large open wetland/meadow. 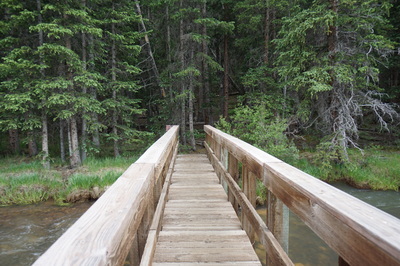 Bring bug spray! 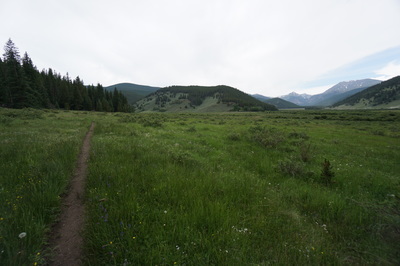 The views to the north include Geneva Peak and Square Top Mountain and are breathtaking. 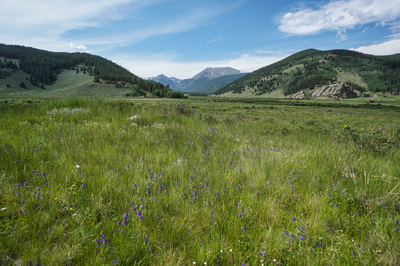 In the spring and early summer, wildflowers make the scene even better. 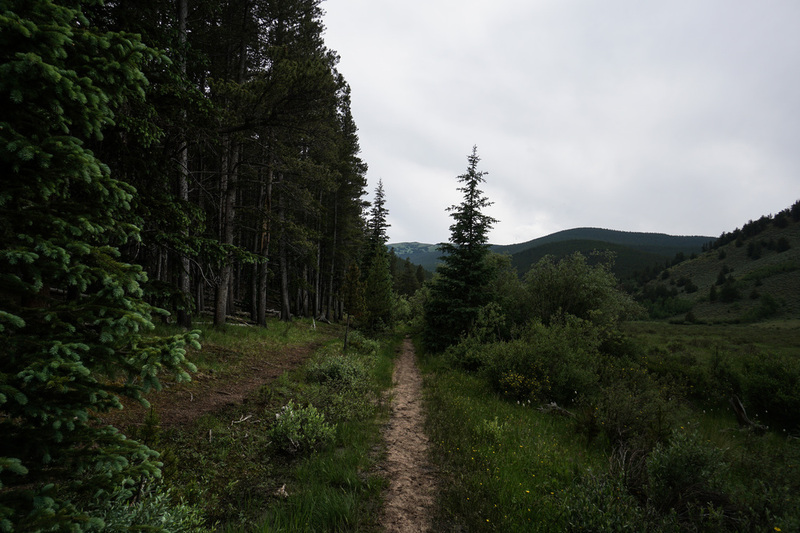 After you cross the meadow you'll enter the dense forest and the trail starts to get just a bit steeper. 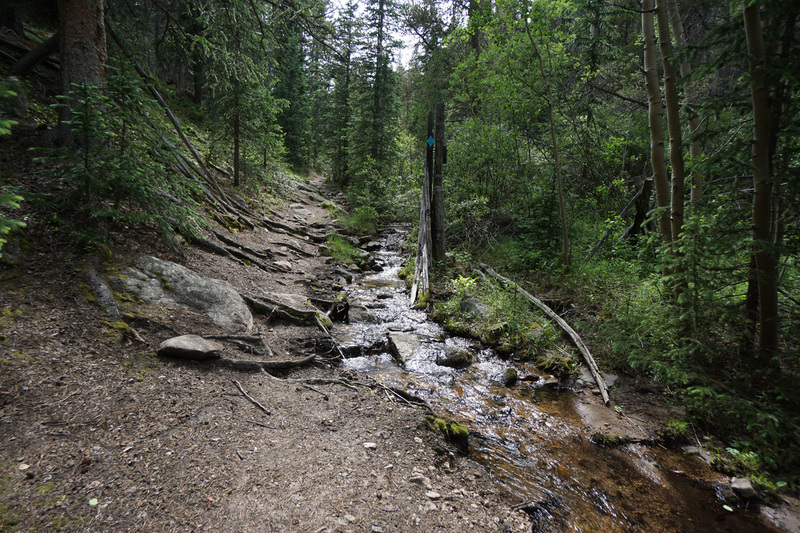 At about the 1.7 mile mark the trail re-joins the creek, now Burning Bear Creek, and you'll reach the remnants of an old fence and gatepost. This makes for a good turn around point, or you can continue on for about a mile to an old cabin, or even further if you so wish. 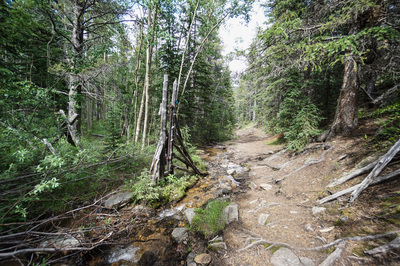 The ease of this trail and the stunning scenery make this a great hike in any season (it is also a snowshoe/ski trail) and especially good for kids. If you are staying at the nearby Burning Bear Campground, hiking this trail is a no-brainer and a great late afternoon or early morning hike.